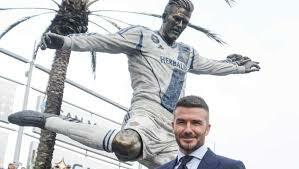 Beckham was the first big European name to join MLS and won back-to-back titles in 2011 and 2012 during his six years and 98 appearances with the Galaxy. He is now owner of Inter Miami, who will make their MLS debut in 2020. Galaxy won 2-1 against the Chicago Fire while elsewhere, FC Cincinnati lost 4-1 to Seattle Sounders on their MLS debut, Orlando City drew with New York City and Colorado Rapids drew 3-3 with the Portland Timbers in the coldest match in MLS history with temperatures of 18F (-8C) at kickoff.